I have a confession to make… I like lemons. I really, really do. I know, it’s hard to believe and yet… I’m sorry for not telling you sooner… Wait, you knew? OK, just kidding. Obviously I do like lemons. A LOT! So it makes sense that I would like lemon-based drinks. One such drink, which is a summer favourite of mine, has to be my Mama’s limonata. Or old-fashioned lemonade, if you like. It’s a drink I enjoy throughout the day and, something that is great, some beach bars in Greece have also started offering it, as you can see from the picture above. And I don’t know about you, but I find nothing more refreshing to have at the beach than a nice cup of limonata. Except maybe ice cubes. Add the sugar and water to a saucepan over medium heat. Add the lemon juice, and any additional flavouring you’d like (orange flower water, etc…), and stir well before transferring to a jug or bottle, and store in the fridge. 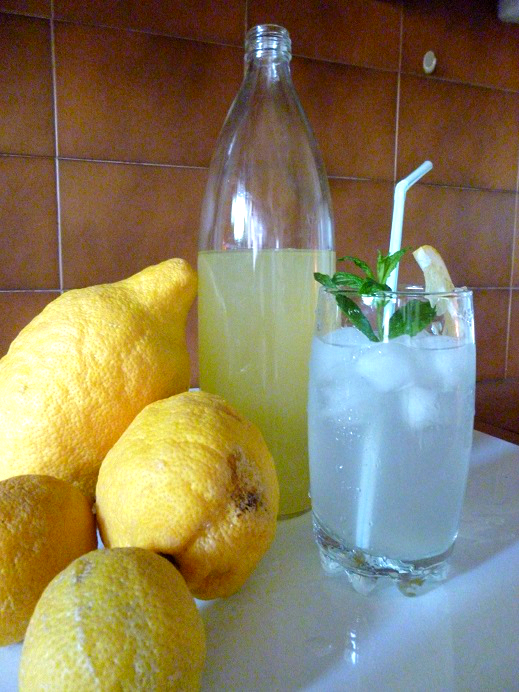 To serve, combine about ¼ lemon syrup and ¾ cold water (I like mine with sparkling water). Add ice cubes and garnish each glass lemon slices and/or mint leaves. I have tasted this delicious refreshment in Istanbul and it really is divine. As they call it Limonata there, I wonder if your Mama is turkish? No, my Mama is Greek, although my grandfather was Greek from Istanbul. 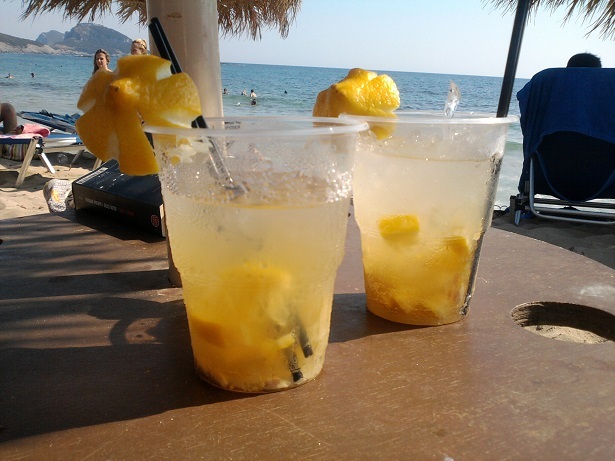 I just like to call to call this Limonata rather than Lemonada, as we call it in Greece.